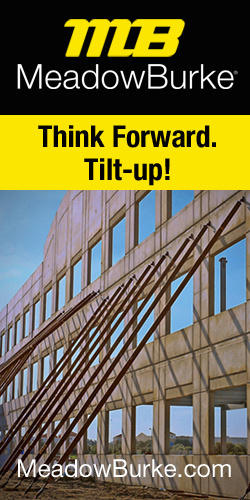 The Tilt-Up Concrete Association (TCA) – a non-profit international organization that serves to expand and improve the use of tilt-up as the preferred building system — has announced the release of Engineering Tilt-Up. 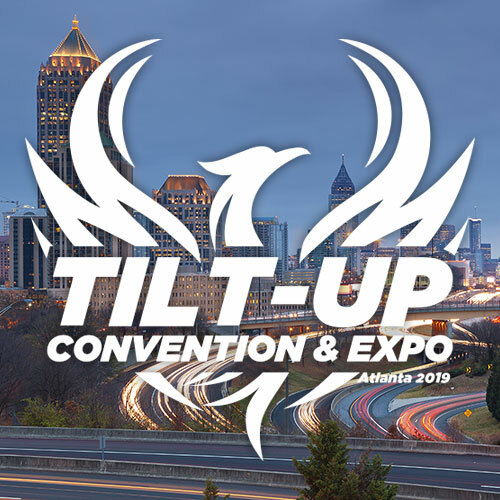 The newest publication from the TCA is the third in a trilogy of resources covering the architecture, engineering and construction of tilt-up. Engineering Tilt-Up contains basic engineering principles and code interpretation as well as in depth analysis of a tilt-up structure and its components. The thorough guide breaks down tilt-up design to educate beginners as well as experienced engineers. Authored by Timothy W. Mays, Ph.D., P.E. and Joseph J. Steinbicker, P.E., S.E., Engineering Tilt-Up contains 335 pages of completely new content. In addition to the chapter material, Engineering Tilt-Up features three, full-building design examples presenting simplified standard practice approaches to design on realistic yet complex situations and constraints that are considered on actual projects. “Adhering to the latest codes and standards, the book serves as a one-of-a-kind resource for tilt-up engineers looking for an excellent summary of standard practice in tilt-up and alternative ways to seek code compliance,” said Mays. The production of the book was enlightening for those involved and the variety of talent and background on the review committee and of the authors resulted in a resource with broad application and relevance. “I learned a lot from the committee of expert practicing tilt-up engineer reviewers about the many different methods that can be used to solve engineering problems in tilt-up,” said Mays. “We attempted to include these methods wherever we could.” Bell also confirmed the value of this process. “I learned what other leading engineers in our industry consider during their design of a typical tilt-up structure. There were differing opinions on what to consider and how to approach certain pieces of the analysis,” he stated. Mays has more than 13 years of experience as a consulting structural engineer and remains active in the design arena designing buildings, bridges, and marine structures. He currently serves as NCSEA Publications Committee Chairman. Mays has received two national teaching awards (ASCE and NSPE) and both national (NSF) and regional (ASEE) awards for outstanding research. A past recipient of the NCSEA Service Award and Virginia Tech’s Young Alumni Award, he has won two design awards for his work with buildings. He is a prolific speaker who sits on several code writing committees and his areas of expertise are code applications, structural design, seismic design, steel connections, structural dynamics, and civil engineering aspects of antiterrorism. Mays holds a Bachelor of Science degree in civil engineering from the University of Memphis, a Master’s of Science degree in civil engineering from Virginia Tech, and a Ph.D. in civil engineering from Virginia Tech. Steinbicker is the Founder and President of Steinbicker & Associates, LLC, Consulting Structural Engineers and Tilt-Up Design Systems, LLC. With more than 36 years of experience as a consulting structural engineer, he is currently licensed to practice in ten states and the Commonwealth of Puerto Rico. He has authored or coauthored the following articles: “Minimizing Risks When Lifting and Bracing Today’s Tilt-Up Structures,” Concrete Construction Magazine, January 2005; “Tilt-Up Building Seismic Design – Precast or Cast-in Place,” Structure Magazine, January 2008; “Multi-Story Tilt-Up Buildings – A Design Approach”, Structure Magazine, July 2008. He has been a featured speaker at numerous industry events including TCA annual conventions, ACI conventions and regional seminars on structural engineering and tilt-up engineering and design. He is a member of the American Society of Civil Engineers, the American Concrete Institute, the Precast/Prestressed Concrete Institute and the American Institute of Steel Construction. Steinbicker is a charter member and past chairman of ACI Committee 551, Tilt-Up Concrete Construction and is also a founding member of the TCA and past member of their Board of Directors. Steinbicker received the David L. Kelly Distinguished Engineer Award for 2013 from the TCA. He holds a Master of Science in structural engineering from the University of Cincinnati. 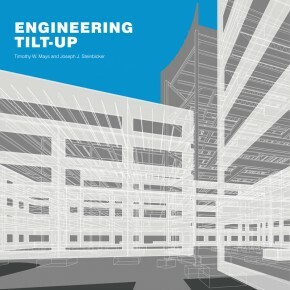 Engineering Tilt-Up is available in both printed and digital form at www.tilt-up.org/resources. TCA was founded in 1986 to improve the quality and acceptance of site-cast tilt-up construction, a construction method in which concrete wall panels are cast on-site and tilted into place. Tilt-Up construction is one of the fastest growing industries, combining the advantages of reasonable cost with low maintenance, durability, speed of construction and minimal capital investment. For more information about the TCA, visit www.tilt-up.org or contact TCA headquarters at 319-895-6911 or info@tilt-up.org.